The premise of Harlem Children’s Zone is a good one. It serves to provide school and complete wrap-around services (health, mental health, nutrition, etc.) to kids from Harlem beginning at birth and supporting them all the way through college. The program, you might imagine, is very costly — hundreds of millions of dollars — and Canada, himself, pulls in about $400,000 a year. John Legend: So what is the high school dropout rate at Harlem Children’s Zone? So the 62 graduates in 2012 had been the 97 6th graders in 2006. This does not represent a 0% dropout rate, as Canada implied to John Legend, but a 36% dropout rate. But looking at these numbers also reveals two large scandals of which I had only been aware of one before looking into this: First, notice how there are 68 8th graders in 2007 (down from 100 6th graders in 2005) but no 9th graders in 2008. This is because Canada ‘fired’ the entire group of what would have been their first 9th graders and first graduating class. This story is not a big secret anymore, though Canada doesn’t seem to have lost much of his credibility for it. For the second scandal, notice that in the 2007-2008 school year there were 88 6th graders but in 2008-2009 there are no seventh graders. This is because they also rid themselves of an entire class of 6th graders that year. The next year they decided to only take new 5th graders which is why we see they had 12th graders and 11th graders in 2011-2012 but no 9th or 10th graders. Regardless of how poor the performance of those two lost classes were, Harlem Children’s Zone could have easily kept those students and have been able to answer critics of their test scores by saying that those two classes of students were students who had started as 6th graders in the school and that HCZ should only be judged by the performance of the classes of 2016 and beyond since those students will have completed their entire schooling through the program. I guess that this could have been construed as an ‘excuse’ which would have gone against the ‘no excuses’ ideology. As far a performance goes, the HCZ Promise Academy high school may have decent state test scores, but when it comes to national tests they only had on the ACT a 20 in Math, a 15 in English, a 15 in Reading, and a 17 in Science. Aside from Math, this puts them in under the 20th percentile for those tests. I’ve spoken to two teachers who have worked at Promise Academy, one is a former elementary school teacher there and another is a current middle school teacher. The middle school teacher said that the school had recently had almost a complete turnover in staff. When a place is supposedly so great, teachers would want to spend some time there, in my experience. The elementary teacher described a horrible abusive working condition where uncertified co-teachers often taught test prep and where there was little support from the administration for teachers and nearly zero interaction with Canada, despite his nearly half a million dollar a year salary. To see Canada get publicly humiliated in a debate with Diane Ravitch from September 2011, watch the live version of Meet The Press from Education Nation here. So I can see that 100% of the students who started in 9th grade were no longer at the school. But couldn’t they have just transferred to another school? You say they dropped out; how do you know? Frankly until we get all kids tattooed and tracked by their SS numbers, I don’t think we will ever get reliable data on graduation. Watch the video linked at the very bottom of Gary’s article. Canada admits it, but he lamely says they weren’t ready to start a high school after their 8th grade year when in reality he knew their test scores wouldn’t make Canada look good so he sent them packing. Watch him snake out of it…slick they are these corporate privatizers. It’s all about their reputations. I understand the point you’re trying to make about student attrition. However, while it is inaccurate for Canada to suggest that 100% of his students have graduated high school, it is equally inaccurate for you to suggest that they have a 36% dropout rate. Transferring to a different school is not equivalent to dropping out. Particularly in NYC, isn’t it possible that some of those 8th graders went on to exam, magnet, or private high schools? Unless you have documentation proving that all of those 6th graders who were not part of the subsequent graduating class did not complete high school, you are being dangerously misleading (and a bit irresponsible) with your claims here. In regards to the lost classes – this may be unrelated – but I had heard that Canada shut down one of his own middle schools because it was underperforming. Might this be the same case? Indeed, it is not easy to track students when talking about “dropping out.” They could have gone to another school, left the state, whatever. But the cold fact is that they have “dropped out” of whatever program they were in. Do we know the reason? Doesn’t matter. If the school is so wonderful, then why is it that they end up with fewer students than they started with? Dropout may not be the perfect term, but it’s attrition. Notice Canada did not say what percentage of his students went to 4 year colleges. With those ACT scores, it’s very likely a large number went to community college. Considering the amount of money that has been poured into HCZ, all the wrap around services and Canada’s insistence on extended day and year policies, I would have thought he’d have had a MUCH higher success rate than this. Have a community college open a couple sections of “Introduction to Underwater Basket Weaving” on your campus. The high school provides the facilities (during a reasonable hour…say 2:00-3:00, or 3:00-4:00) and a majority of the students, and it’s a double win for the institutions involved: the community college bolsters its numbers and gets more funding; the high school ensures that its students enroll in college classes and can also utilize its own teachers in different classrooms. This is an idea that has been around for a while. I’m not alleging such a thing has been done, only that it is very easy to implement. Yeah, Gary, you used the term “dropout rate” (which you do know has a specific meaning) when you should have simply said that they were no longer students at the school. However, no harm. We don’t know whether the students enrolled three or four years later are even the same kids that were in the school’s sixth grade. All we know are the raw numbers. It could be that the school had 0% carry over…who know? it certainly wasn’t better than 64%. As a Ph.D in underwater basket weaving, I resent that comment. Gary: with all due respect for those who post here, thank you for your patience with nit-picking, e.g., we could argue interminably over the use of the terms “validity” and “reliability” and “bias” as they are used generally and as they are used in very specific ways by psychometricians when talking about the construction and administration of standardized tests and the inferences that could be drawn about test scores. That is not what this blog is about. Thankfully. The essential point you make about ‘disappearing’ classes is very revealing, especially since folks like Mr. Canada ‘neglect’ to mention how they achieve their $tudent $ucce$$ by ‘disappearing’ their customers, er, clients, er, students. Thank you in this case and others for not ‘neglecting’ to point out what the champions of the education status quo seem to keep forgetting. 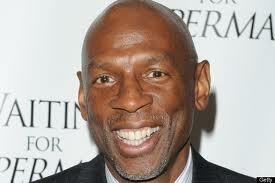 Geoffrey Canada: Just Tell the Truth | Diane Ravitch's blog linked to this post. If you have a $200 million endowment, as Mr. Canada has, perhaps it is not so necessary to tell the truth? What If “Reformers” Adopted a Positive Agenda? – @ THE CHALK FACE knows SCHOOLS MATTER linked to this post. Speaking of money: Mr. Canada’s enterprises (his Zone and the two charter schools) are all run under the umbrella of three distinct non-profits. Thus, their 990s are available from at least one source: guidestar.org (you’ll have to register to get the 990s, but it is free). I have downloaded the last available ones (for 2010, with the fiscal year starting on 07-11-2010 and ending 06-30-2011), and found that the Harlem Children’s Zone Promise Academy Charter School (I) and II had incomes of $15,419,729 and $8,373,431, respectively. The first school has four individuals identified as principal, while the II has two. The total annual compensations of these principals are between $190k and $288k. Yet, the total number of students is less than 1000? And with scores in the 20 percentile? So what is all this money buying? Please note that Mr. Canada’s total compensation, $469,614, was derived from the Zone itself not the schools. His highest compensated employees were also handsomely rewarded (e.g., the VP of Development was paid $418,056). All this on revenues of $213,627,619. I don’t think the major issue is with the revenue. Typical public school Districts also receive tens of millions of dollars (they just don’t pay their administrators as much as HCZ). The major issue is when chains like HCZ claim to be doing better than typical districts using the “same” resources with the “same” students. See the “Miracle Schools Wiki” in the top-right corner of this page. So politicians and education policy folk who don’t look into this think “well let’s just do what HCZ does” and they try to enact these policies on cities/districts. This is very dangerous to students. These policies are based on statistical manipulation. There needs to be more honesty. For example, some people believe that it’s better to self select students and kick difficult students out, so they’re OK with charters doing this. 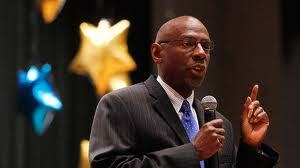 “We ought to educate kids and families who care about education. You can’t educate everyone.” Although many would disagree with this thinking, it’s at least honest. and the numbers do not show that Canada expels kindergarten children. From Betsy Combier: A source of mine, a teacher at Canada's school, told me that Canada gives students money if they will come to class.